Geo4Sight is a Wireless Subsurface Monitoring System that enables mining companies to proactively manage ground stability risks in challenging geotechnical environments. Elexon Mining’s Manager Simon Steffen explains the motivation for developing of Geo4Sight. 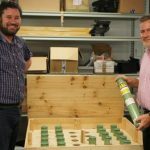 The data from Geo4Sight’s wireless networked nodes will help mine operators and geotechnical engineers to manage one of the greatest challenges for a mine – ground stability. Foreseeing possible ground failure and proactively managing it before disaster strikes is a key priority for mines. The Geo4Sight System works complementary to existing surface and subsurface monitoring systems. It broadens the scope of sensor installations and improves the data that mine operators analyse when managing risks related to ground movement in their mine. 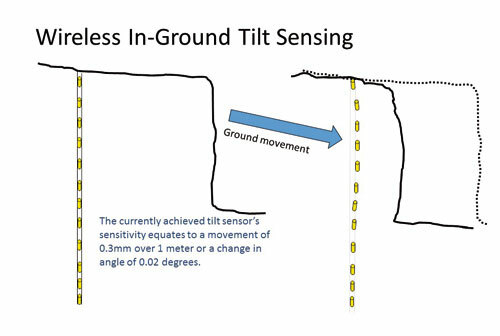 Geo4Sight Tilt: Real-time, wireless subsurface movement monitoring. Geo4Sight Tilt allows enables mines to detect and manage ground movement to reduce the likelihood of failure, or reduce the impact of a failure, in challenging environments where traditional cable-based systems don’t perform. 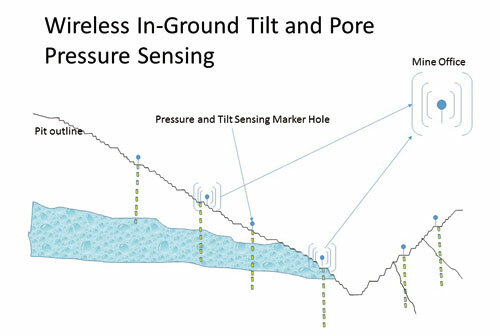 Geo4Sight Pressure: Real-time, wireless pore pressure monitoring. Geo4Sight Pressure gives mine operators greater insight into hydrological conditions in challenging environments where regular cabled systems fail or have serious limitations. Elexon Mining wishes to engage with progressive mines and geotechnical engineers who are open to trying new technology that improves their mining outcomes. They are offering the opportunity to work together on a trial of this new system, should site and circumstances be suitable. Download the Geo4Sight brochure HERE.